While going through our archives, the Type Directors Club discovered that Beatrice Warde was its first female member. It was very exciting to learn that Ms. Warde, journalist, typographical scholar, and communicator on typography, was part of our organization. To honor her memory, TDC has named a scholarship after her. 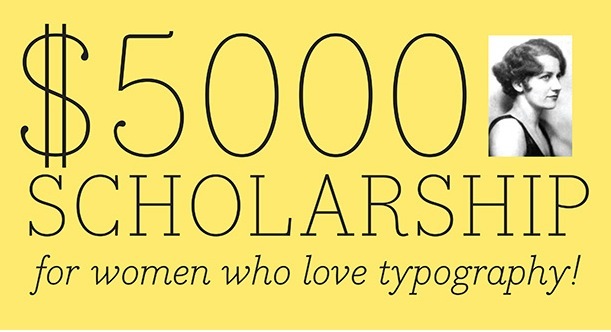 The TDC Beatrice Warde Scholarship is sponsored by the Type Directors Club and Monotype in the amount of $5,000. The scholarship is open to matriculating female (by birth or identified as such) bachelor’s degree students currently enrolled in their junior undergraduate year. Scholarship funds will be applied directly to her senior year tuition, which begins September 2018 and concludes in May 2019.